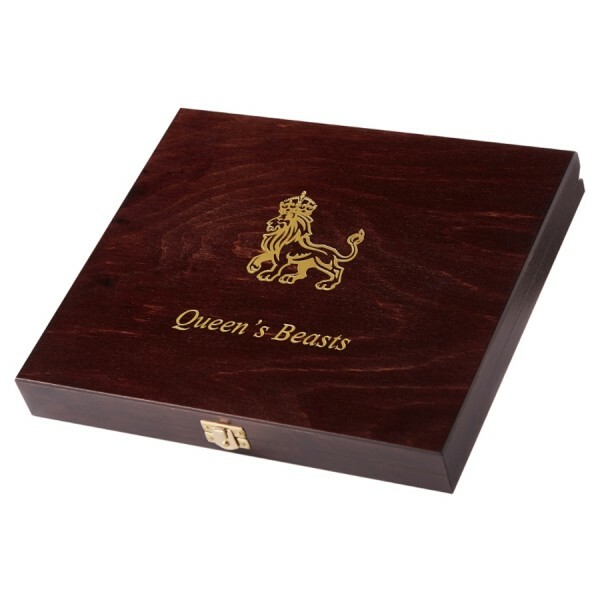 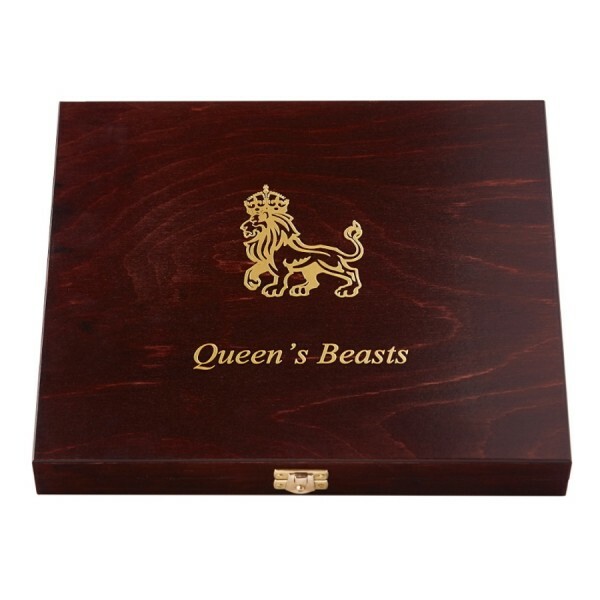 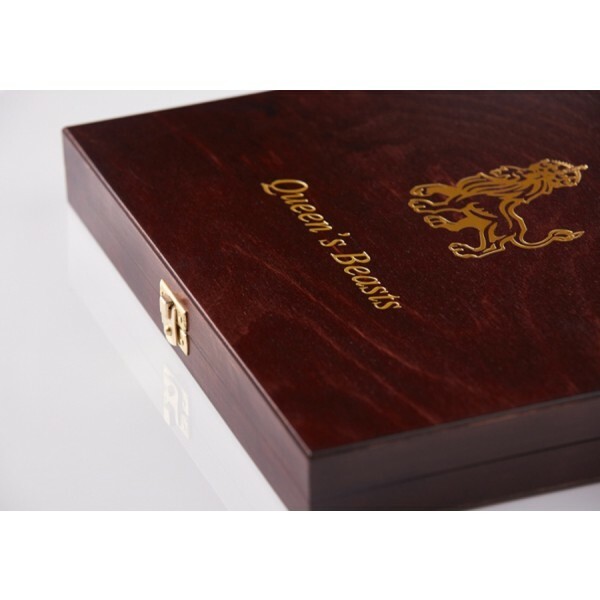 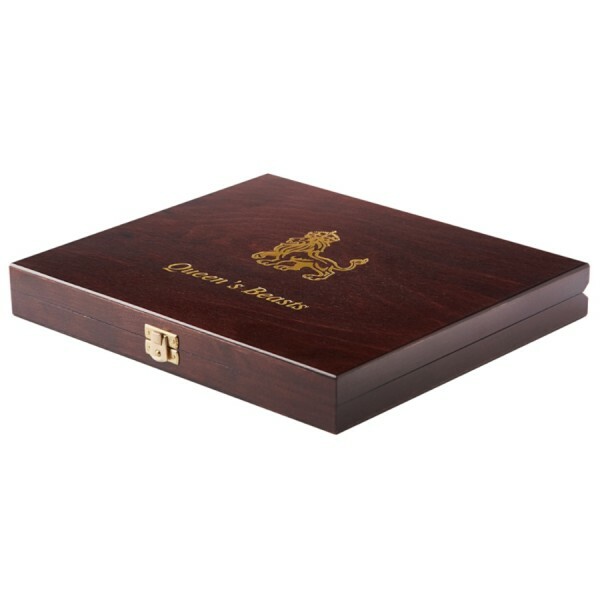 This beautiful Wooden Case for Silver coins has been specially made for the incredible 2 oz “Queen’s Beasts” series which will feature 10 issues. 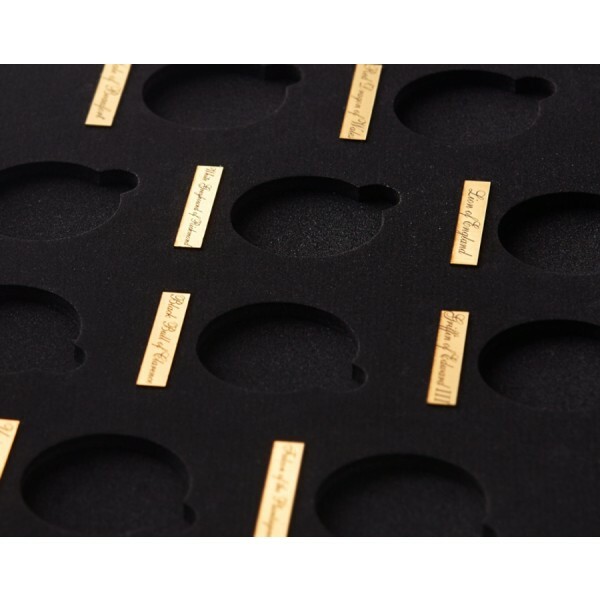 Case has a beautiful glossy finish, incredible design and features beautiful gilded labels with the name of each coin. 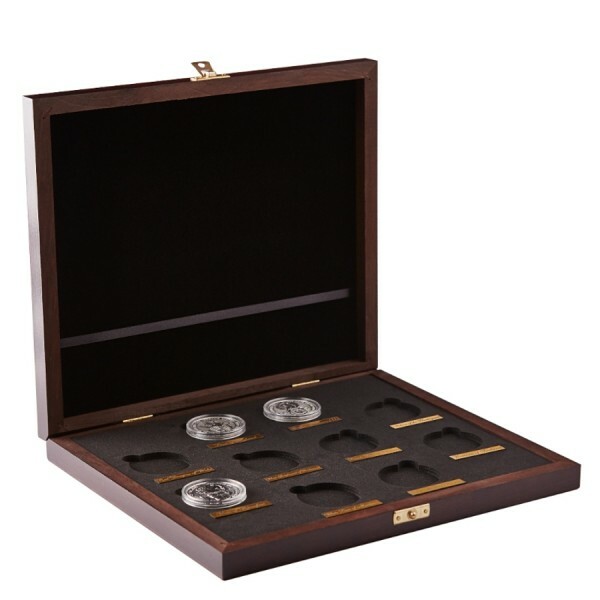 Box comes without coins, but includes 10 capsules that are not originally attached to coins.